Democratic New Jersey Sen. Bob Menendez is one of a three Democrats who reintroduced an act to protect journalists on Tuesday, despite having threatened to call the police on a reporter last month. 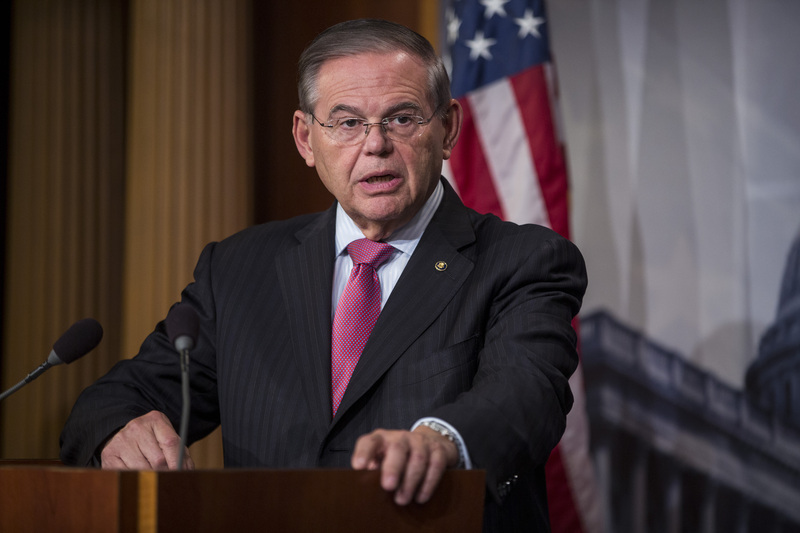 Menendez joined Democratic California Rep. Eric Swalwell and Connecticut Sen. Richard Blumenthal in reintroducing the Journalist Protection Act, which was originally introduced in February 2018. “The Journalist Protection Act makes it a federal crime to intentionally cause bodily injury to a journalist affecting interstate or foreign commerce in the course of reporting or in a manner designed to intimidate him or her from newsgathering for a media organization,” a press release about the act read. Over 200 years ago, our Founding Fathers had the foresight to recognize the importance of a free press to a fledgling democracy. Now, more than ever, their importance can’t be overstated. Despite the dangerous rhetoric coming from the Trump Administration, and yet another disturbing attack on a journalist covering a MAGA rally, the press is not the enemy of the people. A free, and independent press—a strong Fourth Estate—is essential to the American people and our democracy, ensuring an informed public and holding those in power accountable. The reintroduction of the act comes nearly a month after Menendez threatened to call the police on Henry Rodgers, the Capitol Hill reporter for The Daily Caller News Foundation. “Not interested. I have nothing to say to the Daily Caller. You’re trash. I won’t answer questions to the Daily Caller, period! You’re trash! Don’t keep harassing me or I’ll call Capitol Police!,” the New Jersey senator responded. The Caller broke a story in 2015 involving Menendez and underage prostitutes in the Dominican Republic, which garnered the attention of the FBI. After his trial resulted in a hung jury, the Justice Department ultimately dropped the corruption and bribery charges against him.